Today: Grow up already. Store your greens like an adult. We talk about food growing up all the time. Now, it's your turn. Storing greens responsibly requires a modicum of planning and of stocking your pantry -- but once you get there, your greens will be better. They'll last longer. You'll be able to make that salad you planned for Sunday but didn't get to until Thursday. So grow up already and store your greens like an adult. 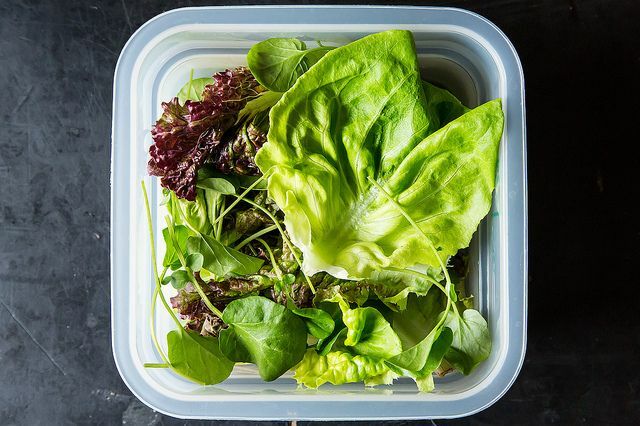 When you throw salad greens haphazardly into the fridge, you might be risking high ethylene levels and too much (or too little) moisture -- all of which will make your greens spoil faster. (Read: no salad for you.) The good news? All of those things are avoidable. More: In the mood for revolutionizing your whole kitchen, and not just your green storage? Hit your pantry. Unless your greens are extraordinarily dirty, wait until you are ready to eat to wash them. If you wash before you store, it's more difficult to get the leaves dry before you put them away -- and extra water droplets can result in browning and rotting. Instead, pick through your greens and remove any that are wilted or slimy. This is extra security: as produce matures, it releases ethelyne gas, which makes neighboring fruits and vegetables ripen (or in the case of leaves, wilt and rot) faster. After you pick them over, you have a few different options for storage, but their placement in the fridge is non-negotiable. Always store them in the lowest drawer (usually the crisper) -- it's the coolest, and the colder the temperature, the slower your produce will break down. 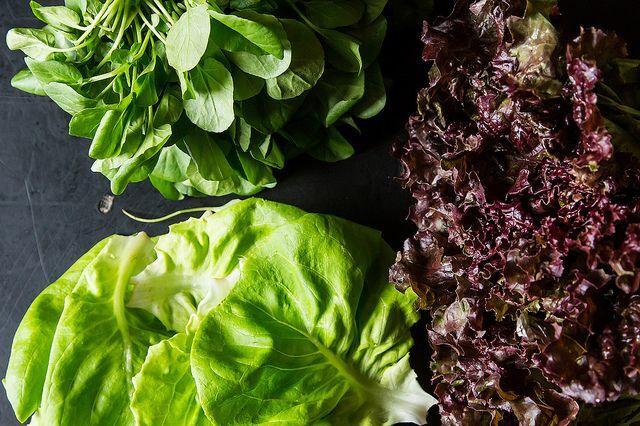 For salad greens to thrive after they've been picked, they need slightly humid conditions (to prevent the leaves from drying out), but minimal water droplets. To emulate this, store them in a plastic container with a paper or tea towel draped over the top instead of a lid. You can also use a bag that's left open, but if you choose this route, reuse one, gallon-size zip-top bag to minimize waste. (By the same token, if your greens came in a clamshell, just snip the lid off and use that.) Be sure to fill your bag or container loosely, as packing them tightly will bruise the leaves, making them more susceptible to rotting. 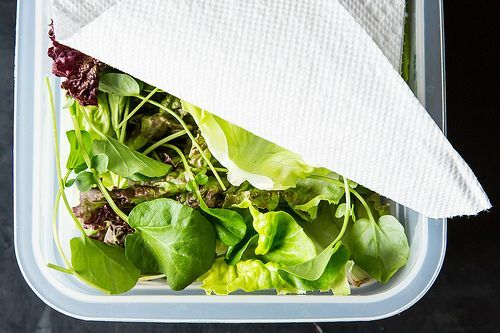 There are a lot of fans of this method out there, in which you wrap your greens in a towel, and keep the roll in the fridge. (A tea towel would also work.) Each day, just grab the greens you need, and keep the roll intact. 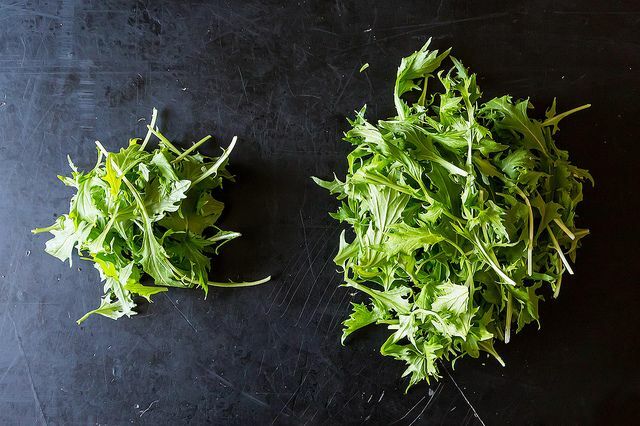 If you don't have the fridge space, or the patience, for this kind of operation, fear not: your greens will have a happy home whichever method you choose. Do you use a method we didn't mention? Let us know in the comments! You can wash them or not but wrapping up the lettuce in paper towels, then putting them back in the bag will keep them fresh for a long time. 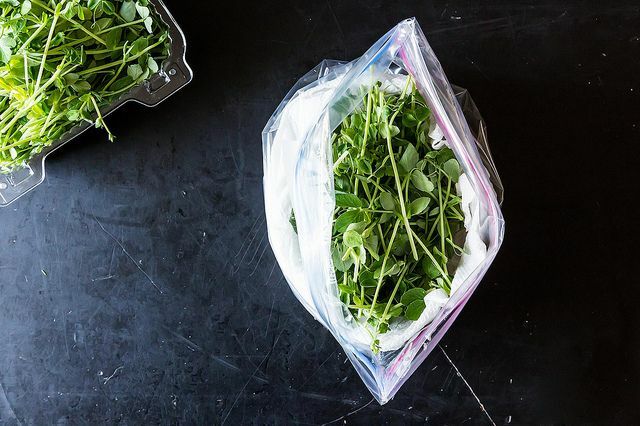 Keeping leaves and herbs from touching plastic bags or clamshells extends the life, while keeping the bag or lid closed avoids drying out in the moisture poor refrigerated air. The paper towels can be used to scrape food waste from bowls or lining the compost bin. Thanks Antonia, and yes, I save the paper towels as well, even those used inside the containers. They are still clean after drying and storing the salad. It's so nice to have the greens or pre-made salad ready to go the rest of the week --or longer. The only caution is not to add wet ingredients such as cucumber or tomato, add those per serving. Root vegetables such as radishes, daikon, carrots, fennel root, all hold up perfectly. I also pre-grate raw beets to add to each serving; they hold up as well. Delicious with a bit of bleu cheese. I strongly disagree with the advice not to wash greens immediately, especially organics, because dirt and dead bugs start the deterioration process. My salads have gotten so popular that I make 6-8 gallons at a time, using multiple types of greens and about 10 other ingredients. My friends and family wait eagerly, and what people love best is how my ziplocs full of ready-made salad last about 2 weeks. The trick is to immediately wash and soak all greens. Once they're clean, tear them (never chop) into pieces for one more good soak; spin, and then lay out in a thin layer on paper towels to dry a bit more. 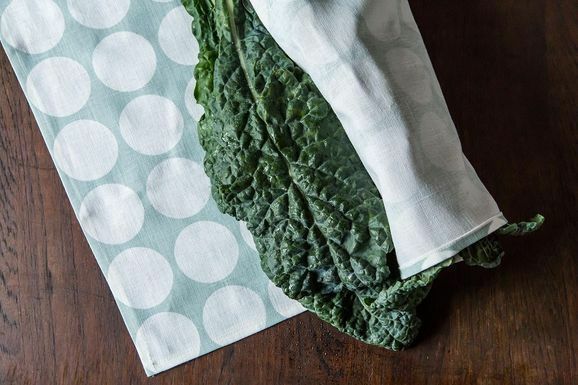 Whether you mix the other ingredients in or not, roll the clean dry greens into clean white paper towels, and store in bags or other containers in which you can remove air. The paper towels will get a bit moist eventually but that's fine, they work like a humidor and keep the greens nice and fresh. Keep the towels in, and the air out. This is an unbelievable way to store romaine . Cut off t bottom couple of inches. Stand upright in a gallon mason jar. Put the top. It lasts almost indefinitely! Still I have received no answers from the FOOD52 Community about what "CSA" means in "foodies" lingo. Hoping to hear from somebody soon! Forgive me! I am a former editor of history textbooks! Thus the association of "CSA" with "Confederate States of America." I also live in the Southwest. Hi, food experts! When I see the letters "CSA" together, I immediately think of "Confederate States of America." I am pretty sure that's not what you guys are talking about when you cite "CSA." What do those letters stand for in your culinary world? THANKING YOU in advance! I am a big believer in washing the whole head of lettuce all in one shot for quick salads any time. After a good soaking and spin the the salad spinner, like many of you, I formerly used to wrap greens in tea towels stored in loosely closed plastic bags, a method which works very well. However, I recently discovered that Ziploc makes gallon-sized produce bags with tiny perforations that allow the greens to breathe a seemingly perfect amount, and I'm a convert to this method (the bag takes up much less space without the towels). The bags work well outside the crisper and washed greens consistently last at least a week. Since they are used for clean lettuce, I just invert them to dry when I finish the greens, so I have been reusing the same box of 10 for quite some time. Been doing this for years.. Salad stays great for a long time! I'm trying be aware of using less plastic and random paper towel waste, so I like crisper and re-using clam shells the best - also using tea towels instead of paper towels. One question for you all, though: I'm in my second year of growing my own greens. Any tips on how often to harvest, and how soon before I use them? I'm with Jennifer Ann! Wash the lettuce leaves, spin the heck out of them in my Oxo Spinner, and then store them in the spinner (in the fridge). Keeps them really crisp for ages! We usually wash them and then give them a few spins in the salad spinner. The moisture stays in the spinner but doesn't actually touch the greens, and we've had good results. I just keep greens, even those from the CSA, in the plastic produce bags from the grocery. But there are two things I have found make them last a really long time. First, put a damp paper towel in with the greens before closing the bag. This makes a huge difference. Then, instead of squeezing out the air and clipping the top closed, like you would do for dry or crunchy foods, hold each top corner of the bag and flip the bottom half of the bag over the top edge once; then tie the top corners that you were holding together once like the beginning of a square knot. That will usually leave a lot of air in the bag - don't squeeze it out. Then before putting the bag in the fridge, hold the knot at the top and the seam at the bottom of the bag, turn the bag upside down, and shake the greens so they are loose in the and not all mushed together in the bottom. The air space around them coupled with the moisture from the damp paper towel combine to make them last sooo much longer. Even if they are in a grocery clamshell, you can add the damp towel and shake them up so the stuff on the bottom isn't mushed. Tupperware Fridgesmart keeps fruits, veggies and greens fresh for ages. Kind of spendy but you only buy them once and they really work as promised. I was skeptical, bought some on sale, and am now a crazy fanatic convert. (I swear, I am not a tupperware salesperson. I don't have the fortitude for direct sales.) Most of the time I find Tupperware a little expensive compared to the competition, but I haven't seen anyone else making this product and it REALLY works. I was amazed. I'm a big believer in those green bags. When I get home from the market, I pick off any not-so-great bits and store them with like vegetables. I'm sometimes shocked at how long they last. In fact I just got home from a week vacation and some romaine I forgot I had was still crispy. While usually wait to clean things until I use them to avoid the excess moisture problem, if I do store greens that I've washed I stick a paper town in the bag to soak up the extra water. Grandma taught me that one. I buy them at my food coop for about $1.25 for 5. I'm not sure what the brand is -- the coop might buy them in bulk. I was skeptical about them at first because of the cheesy infomercials, but they are the best. When I get home from the market, I usually refresh my greens in cold water and spin dry before putting them in between layers of paper towels in a plastic ziploc bag in the fridge crisper drawer - it seems to work pretty well. But should I stop refreshing when I get first get home and do that only before I'm ready to eat them? You absolutely can, so long as you're getting your leaves dry enough before storing. It sounds like the layers of paper towels are doing the trick just fine!